BILL BAIRD - SCORER OF THE FIRST POINT! 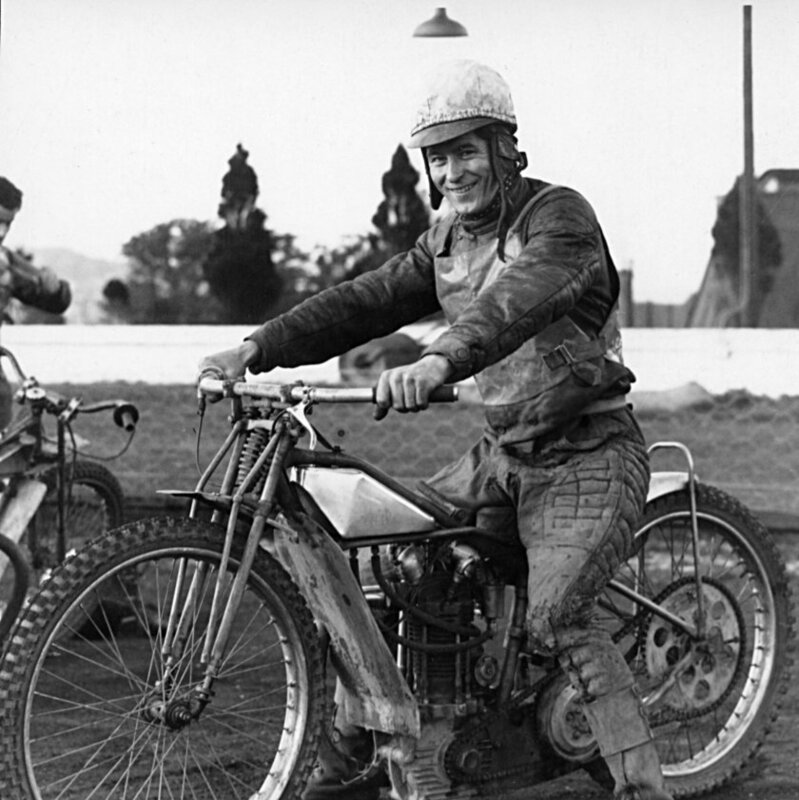 Bill Baird was a Scot, from Forth, and he had ridden for Glasgow and Bradford prior to joining the new Monarchs for the 1948 season. He has the distinction of being the scorer of our first point, at Bristol on 26th March. He was third in heat 1 and finished with 3 points in a 64-20 defeat. Some start! Bill was a popular rider and rode two seasons for us before moving to Ashfield (in other words he was a Hoskins rider throughout). It's possible that this photo is from the first match at Bristol.